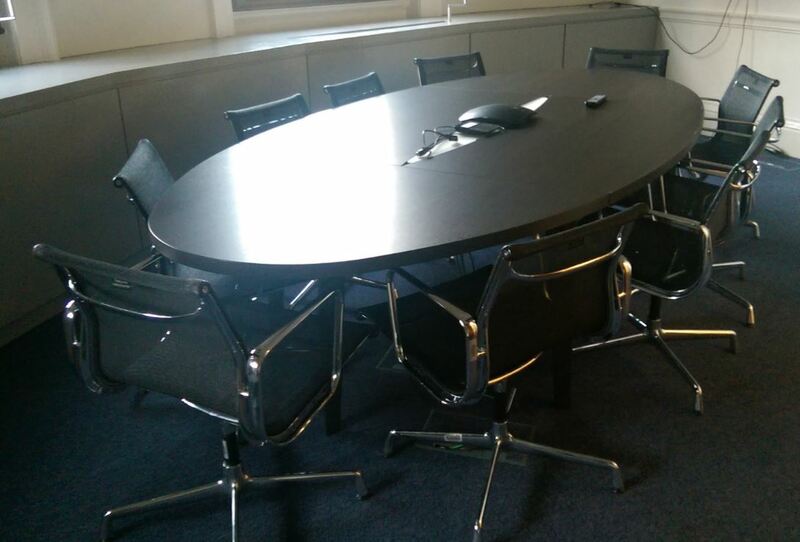 A prestigious project was completed for HM Treasury by the office furniture division of Solutions 4 Office Ltd. The government’s economic and finance ministry which maintains control over public spending, sets the direction of the UK’s economic policy and works to achieve strong and sustainable economic growth; required assistance with a meeting room design. 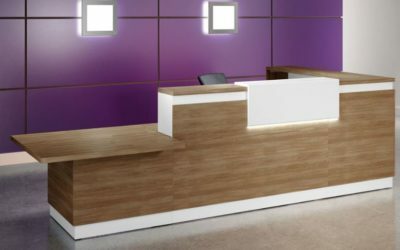 The Central London based site needed a new stylish and well-designed product with full integration of data, electrics and communications technology. Solutions 4 Office Ltd were chosen from a host of suppliers to provide design guidance, space planning services and production of the optimal meeting table. S4 were able to offer a tailored considerate approach to the project taking into account all the needs of the client. The proposed table was from the S4 Elliptical Range and was produced in an Executive Brown Oak finish with a 38mm thick top supported on a modern, black metal, angled leg frame. 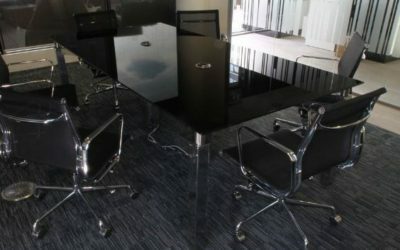 The 10-seater table featured a frosted acrylic cover to the central cable access tray that allows for easy provision of all services to the table users. The blend of traditional features and modern styling provided the perfect table solution for the room size and shape. 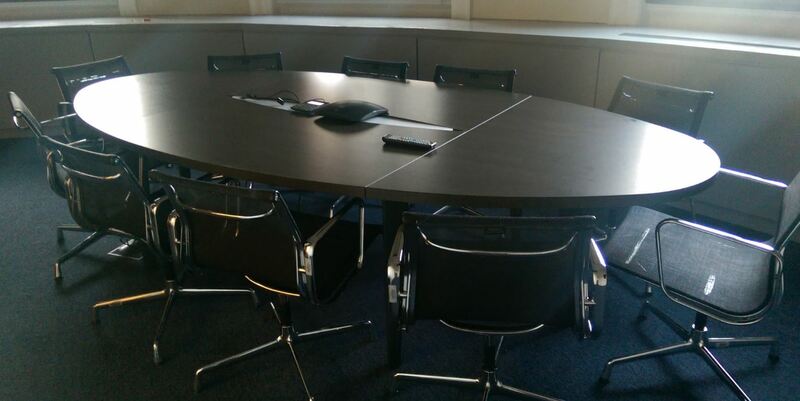 The client was overjoyed at the results and the service received especially as Solutions 4 were able to produce, deliver and install the table within 10 days of the order being placed!